AF and AM vs F and AM STATES - Masonic jurisdictional differences. What is the difference between AF and AM vs F and AM STATES? 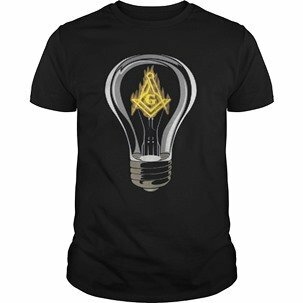 AF and AM stands for Ancient Free and Accepted Masons. F and AM stands for Free and Accepted Masons. In actuality, it does not matter whether you join an AF & AM lodge or an F & AM lodge in the United States. In the U.S., every regular lodge is under the jurisdiction of its state Grand Lodge. Due to the fact that there is no Grand Lodge Headquarters for each state's separate Grand Lodge, each state's Grand Lodge is, therefore, its own "headquarters" within that state's jurisdiction. All Freemasons, both AF & AM (which means Ancient Free and Accepted Masons, as well as F & AM, which means Free and Accepted Masons, trace their allegorical history back to the building of Solomon's temple in the Holy Scriptures. Freemasonry was exported to the British Colonies in North America in the 1730s—with both the "Ancients" (sometimes also referred to as "Antients") and the "Moderns" (as well as the Grand Lodges of Ireland and Scotland) which chartered offspring ("daughter") lodges, and organized various Provincial Grand Lodges. After the American Revolution, independent U.S. Grand Lodges formed within each state. From 1751 to 1813, there were actually 2 Grand Lodges in England. The difference in AF and AM vs F and AM states goes back to a disagreement between these 2 Grand Lodges in London at that time. One group was called the "Moderns", but was actually the older of the 2 English Grand Lodges. The other group was called the "Antients", which became the "Ancients" in AF and AM. Due to this disagreement, the 2 groups broke into separate Grand Lodges. The disagreement was later healed around 1880, but by that time, there were lodges and Grand Lodges all over the United States that were descended from one group or the other, and so each group kept their corresponding initials with which they were formed, (which is the reason for which there are small differences within different states' ritual wording and Grand Lodge By-Laws and procedures). Historically, the regular (mainstream) Grand Lodges did not recognize the lodges under the "Prince Hall" Grand Lodges. The Prince Hall Masonic Lodge descends from a lodge of Black Freemasons in Boston begun by a Black man by the name of Prince Hall. Prince Hall Free Masonry began during the War of Independence, when Prince Hall and fourteen other free black men were initiated into Lodge # 441, Irish Constitution, attached to the 38th Regiment of Foot of the British Army garrisoned at Castle Williams...now called Fort Independence, at Boston Harbor on March 6, 1775. 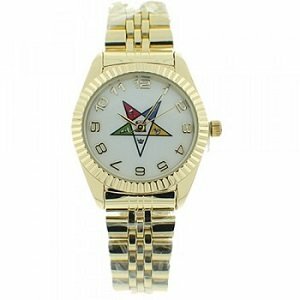 Later, they applied for and received a Charter from the Grand Lodge of England. After Prince Hall passed away, the lodge ceased to function. Many years later, Black Masons established their own Prince Hall Masonic Grand Lodge. They subsequently issued charters to Black men for subordinate lodges. Today, many Prince Hall Masonic Grand Lodge are recognized by the regular (mainstream) Grand Lodges. In other states, they are termed as affiliated. Any Prince Hall Masonic Grand Lodge which is not recognized by their regular counterparts are termed as irregular (non-mainstream) lodges. The District of Columbia is F.A.A.M. 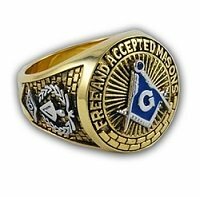 So, what is the difference between Ancient Free and Accepted Masons, and Free and Accepted Masons and the members of Accepted Free Mason states and Free and Accepted Mason states? The few intrinsic differences between AF and AM vs F and AM states grand lodges, the AFM grand lodge in South Carolina, and the FAAM in Washington, D.C., are minimal. While both AF and AM vs F and AM states exist, along with AFM states and FAAM in the District of Columbia, (with small differences in ritual wording, some officer titles, etc.) in essence, these minimal differences are not as important as the shared brotherhood between all of these groups within the fraternity. 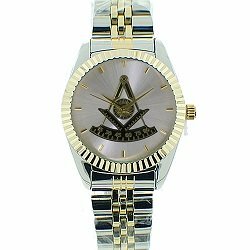 The only time that this difference might be important is if you purchase a piece of Masonic jewelry, a Past Master apron, a Masonic shirt, Masonic certificate, or other item which is engraved, embroidered or printed with a specific jurisdictional designation. Some of these items are pre-printed with a specific designation. 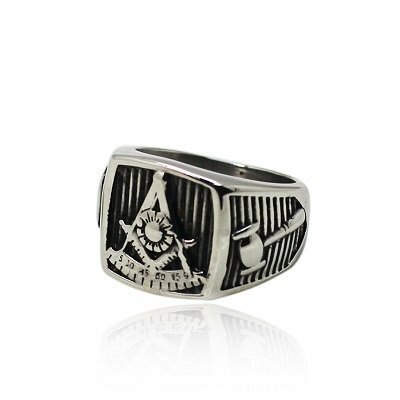 Therefore, knowing the designation of your particular lodge (AF and AM vs F and AM states, etc. ), proves helpful so as not to mis-order an item.